The captain of Ghana’s senior national women’s football team, the Black Queens, has fired back at the team’s coach, stressing that “We don’t engage in lesbianism acts. 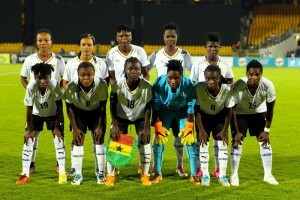 The team’s head coach, Yusif Basigi, recently claimed that was the case, warning that the act is ruining the women’s game, without providing a hint or a shred of evidence. The Black Queens fell short of expectation and just ended their campaign at the women’s continental championship hosted by Cameroun, with a bronze medal as consolation prize. Nigeria, previous eight-time winners, triumphed 1-0 over the hosts, Cameroun, to tally a historic nine-time conquest of the women’s edition of the African Cup of Nations championship. Ghana is the host of the next edition scheduled for 2018.